You don’t have to squander a stash of cash to holiday where millionaires flock to by the yachtful. 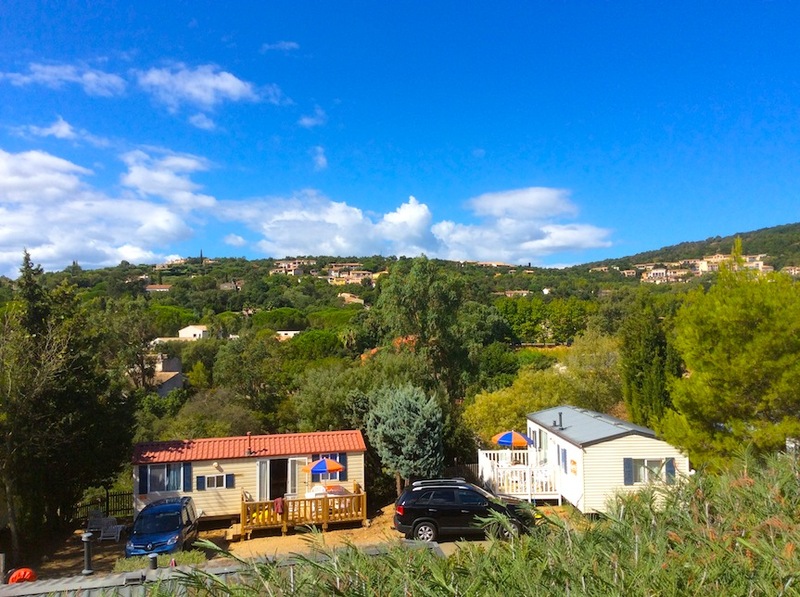 The Canvas Domaine des Naïades holiday park is well priced and perfectly placed above the Bay of St Tropez. 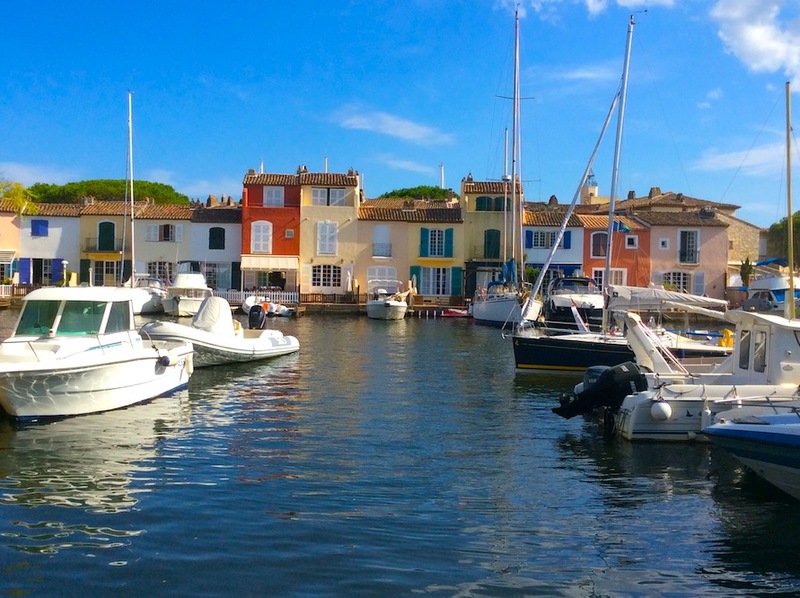 It’s a short walk from the beach and pretty, peaceful town of Port Grimaud and a fast ferry hop across the waters to sizzling St Tropez itself. Our three-bedroomed caravan on-site came with decking so we could enjoy meals al fresco, plus air-conditioning (imo, this is a must in the height of summer in the south of France). The bedrooms were small but, hey, you’re in a caravan and the mattress in our room could have done with an upgrade (the springs kept digging into my back). But a real plus point was the fact that the plots, nestling in terraces on the hillsides, are spaced wide apart so there’s no feeling that the site has skimped on space to fit in a few more holiday homes than is comfortable. The impressive Olympic sized pool on site keeps even serious swimmers happy – and with depths ranging from 1.2 to 3.9 metres, there’s a chance for some fun diving sessions at the deep end (something my boys loved as diving’s not allowed in our local leisure centres’ pools). A pair of 75m slides means siblings can race each other down to see who’s fastest and can make the biggest splash. There’s also a nice bar alongside the pool and a restaurant, too, plus a takeaway serving pizzas, burgers and chips if your teenagers want a break from healthy holiday salads, baguettes, meats and cheeses. On site evening entertainment includes live music, open-air cinema and karaoke. A 15 minute walk from the campsite (down a small hill, across a main road and through another large campsite) and you’re on the sandy beach at Port Grimaud. Take a dip then head for lunch or dinner at one of the restaurants on the beach. We enjoyed an evening with a table in the sand, looking out over the bay onto St Tropez. 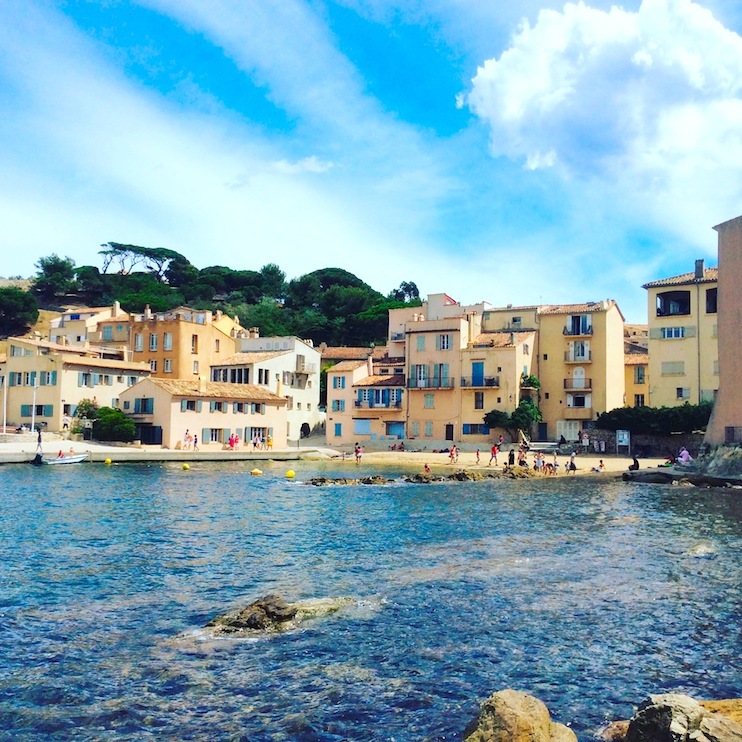 The pretty town of Port Grimaud is just a few minute’s walk from the beach. Called the ‘Venice of Provence’ – brightly-coloured fishermen-style houses adorned with shutters and wrought-iron balconies float on the network of canals joined by arched bridges. The town is mostly traffic-free – but most houses have their own berth for a boat. It’s a gorgeous – expensive – place to live. Joan Collins had a place here. You can easily spend a day exploring, doing a bit of shopping and ice-cream eating and, if you’re lucky, sit down in the shade of the square and watch Rolex-clad residents play boules. 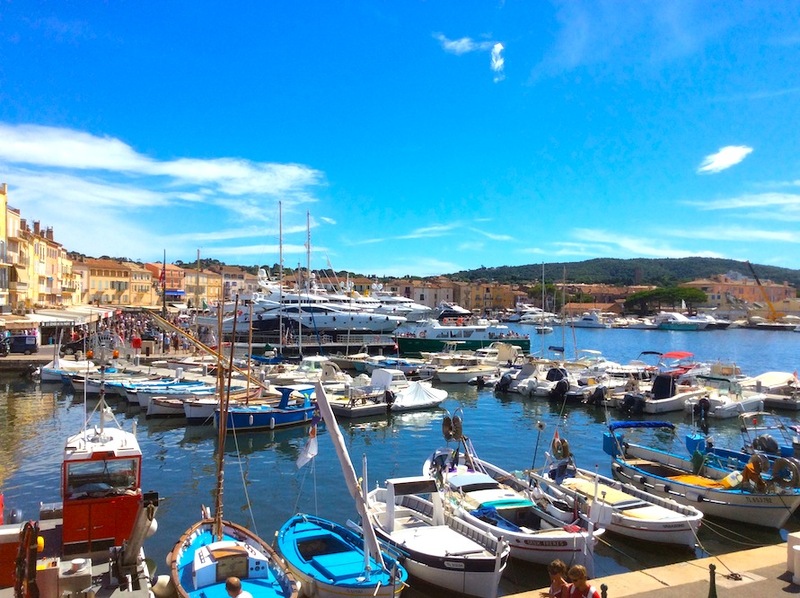 Buy tickets from the campsite’s reception for The Bateaux Verts ferry trip to St Tropez which leaves from Port Grimaud and takes about 15 minutes. Best days to go are Tuesdays or Saturdays so you can explore the large open-air market at the Place des Lices (get up early; it’s worth it). It’s also fun to tour the harbour, spot the superyachts and to wonder just who can afford to moor their boat here. We saw some helicopters bringing in the super-rich to their yachts in the bay. It put even Simon Cowell in the shade. Take time to spot designer shops like Chanel, people-watch at a harbourside cafe and try the region’s speciality La Tarte Tropezienne – a light brioche cake filled with creamy custard and sprinkled with crunchy sugar.